Travel Write Draw: Morocco Bound with Mr & Mrs Smith Hotels!! Morocco Bound with Mr & Mrs Smith Hotels!! I hope you all had an awesome weekend. It's nearly 10 PM here in New York and I'm up finalizing last minute projects, proposals, and collaborations because this Thursday AM I'm flying to Marrakech, Morocco for a partnership with Mr & Mrs Smith Hotels!! 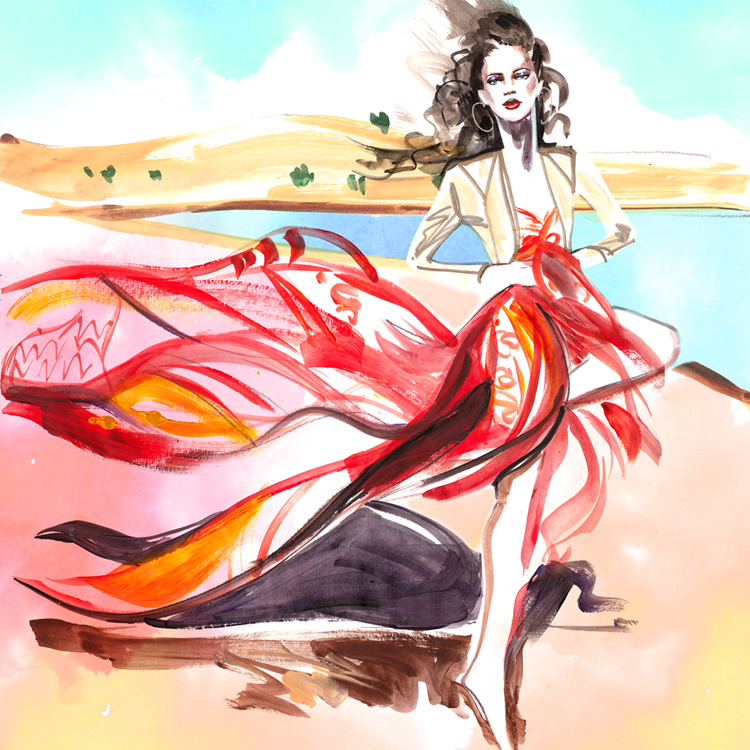 From the time I started Travel Write Draw back in September 2010, the aesthetic of this blog was VERY much inspired by a VOGUE Paris editorial that was shot in Morocco. I love the fantasy of the Sahara desert, souks, the medina, and the idea of a miraculous oasis. The juxtaposition of the somewhat conservative culture paired with the provocative styling of Carine Roitfeld was/is everything I dream of in fashion. I cannot wait to bring my own experience in this beautiful country to life through my TWD illustrations. As always, be sure to follow along in realtime on my Instagram @TravelWriteDraw where I'll be sharing the very best of Marrakech and beyond including the stunning Mr & Mrs Smith Hotel properties!! Stay tuned for some fun surprises darlings!! Have a wonderful journey! You are a fantastic proof that dreams do come true! ;-) Enjoy! Very nice blog and great pictures. I will be seeing next entries. What a great picture! It's colourful and attractive I love the way you use this picture and tell us about your story. Keep up to draw and i want to see more pictures from you blog. They're beautiful. Best wishes from Lien at mythuatms.com. #MyLifeMyHair with Pantene & Lo Bosworth! !